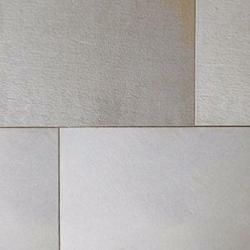 With a lightly textured surface, Pumice is a sandstone product with sawn cut, smooth sleek edges. Pumice's grey base can sometimes weather to reveal brown and buff beauty spots. Pumice is also available in a bullnose coping that can be used on walls, steps and pool edges, to enable continuity of colour throughout living spaces, see Wallings and Copings for details.